Do you experience pain when you wear your AFO? Your AFO brace can’t help you if it hurts and is uncomfortable to wear. 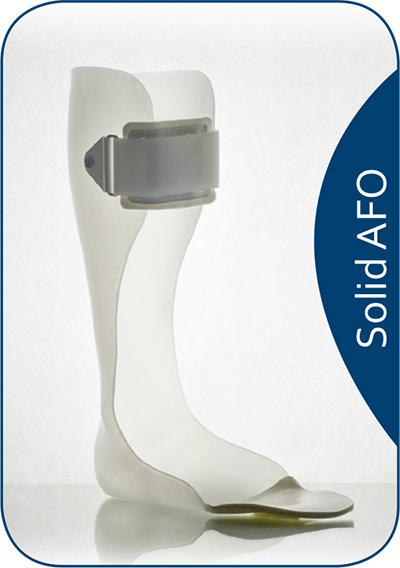 It is possible an adjustment or possibly a different style of AFO would be a better fit for you. 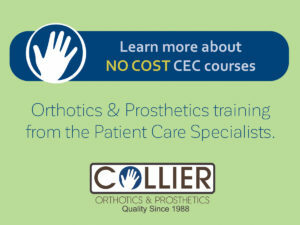 First and foremost, Collier practitioners want to find the proper orthotic solution for the patient. Our team care approach with the physicians and therapists will determine the correct device for the diagnoses. Collier can dispense the correct custom-fitted or custom designed orthoses depending on the patients’ needs. Typically Ankle Foot Orthosis is used to correct Foot Drop, help relieve Arthritis pain or to hold the muscles in place after a fracture. Our Custom Ankle Foot Orthoses (AFO’s) are produced in our local facility which gives us precise quality control. 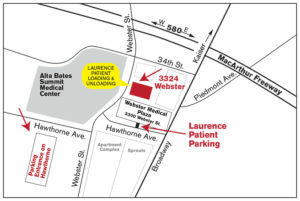 Click here to see our AFO construction process. 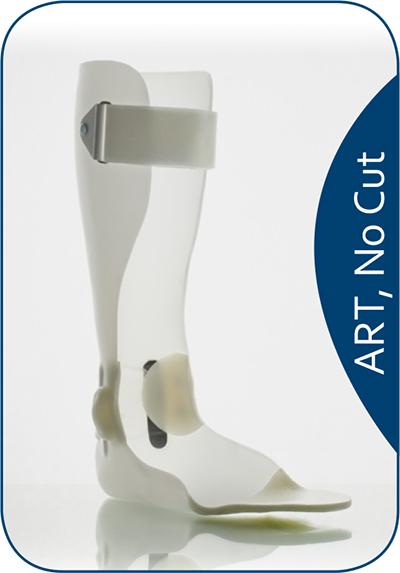 Our Custom-Engineered R-Wrap™ AFO Gives Patient Results No Other Provider Can Duplicate. 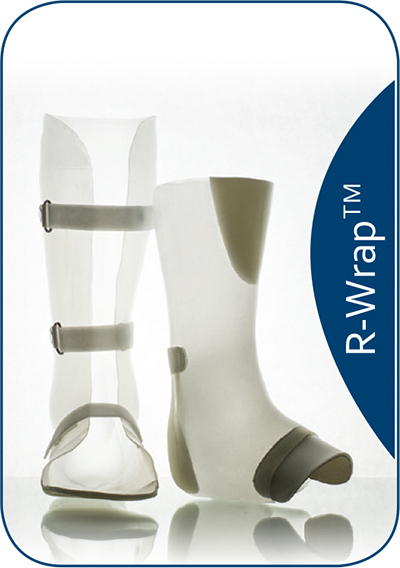 Our R-Wrap AFO™ comfortably provides proper counteractive forces. 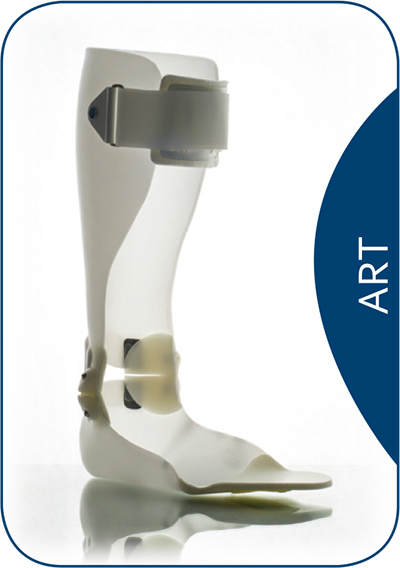 The interlocking thin pieces of polypropylene enclose the foot and, through total contact, holds the best possible anatomical alignment to correct the patient’s spastic and tone induced patterns of movement. If you would like to learn more about the development of the R-Wrap you can read our study here. co-pay expense and everyone’s valuable time. We also offer custom-fit orthoses tailored for individual solutions.